Selenium is typically lacking in Australian soils and hence the uptake to Alpaca's through their grazing diet can often be diagnosed as being deficient. Selenium is said to be an important factor in sexual function in both Machos and Hembra as well as aiding in the prevention of white muscle disease. 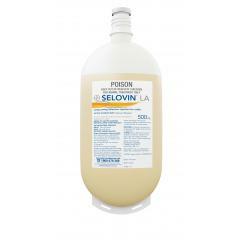 Selovin™ LA Long Acting Selenium Injection may be a useful solution to overcome identified deficiencies. The solution is intended to act as a depo or a pool for long term uptake in to the animals system. Selenium 50mg/mL (as Barium Selenate). For the treatment and prevention of selenium deficiency in cattle. This product is contraindicated for use by intra-muscular injection. This may cause a serious reaction. To ensure that this does not occur, administer the product only by subcutaneous injection high on the neck behind the ear. About a week after injection, a lesion may form at the injection site. Such lesions usually diminish over time, but may last up to 3 months or longer. This product should not be used when selenium uptake from pasture is high or selenium is provided by other means (such as pasture top dressing, vaccine, pellets or selenium drenches) if blood selenium levels at treatment are high. 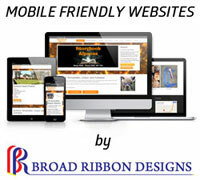 Users can determine selenium status by consulting their veterinarian. The recommended dose and frequency of dosing should not be exceeded as there is no specific antidote. Product contains an iron oxide pigmentation (so that it can be trimmed from the carcass after slaughter) which can stain fleece. Take care when handling weak or pregnant animals to avoid unnecessary stress. During the early part of pregnancy, accurate dosing is important and particular care should be taken to avoid overdosing. In females we suggest it used as a pre-mating tonic. Systemic allergic reactions have been reported with this product. These have usually occurred within half an hour of treatment. Observe cattle after treatment and seek veterinary advice and treatment if this occurs. Read EXPORT TRADE ADVICE before using this product. Export Slaughter Interval (ESI): Not required when SELOVIN LA is used as directed (subcutaneous injection), as visible injection site deposits are trimmed from the carcass at slaughter. Note: Some export markets employ x-ray screening technology, which will detect radio opaque substances such as barium selenate. Incorrect application of SELOVIN LA could result in injection site residues not being trimmed at slaughter leading to detection and a potential risk to meat export. 1mL per 50 kg bodyweight, equivalent to 1mg selenium per kg, by subcutaneous injection high on the neck behind the ear. Raise the skin into a “tent” and insert needle parallel to the body, ensuring injection is placed UNDER THE SKIN and not into the muscle. Do not rub or otherwise manipulate the injection site after injection. When treating a large number of animals, a suitable multi-dose injector must be used. The frequency of dosing should be related to the severity of the deficiencies. Product will last up to 12 months in cattle. Check selenium status of animals before retreating. Consult your animal health advisor for advice specific to your herd. 1. Sterilise all injection apparatus by boiling (or equivalent) before use. Avoid using strong disinfectants on apparatus. 2. Maintain cleanliness at all times. 3. Keep needles sharp and clean. Replace frequently. 4. Use shortest needle possible, certainly not exceeding 15mm. 5. As far as possible avoid injection of animals during wet weather or under dusty conditions. 6. This product must be injected only under the skin. 7. If possible inject high on the neck behind the ear. All product should be used with in 28 days of first opening.